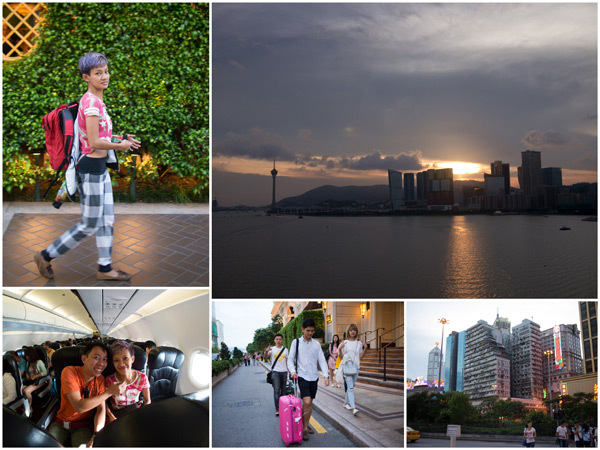 We traveled to Macau in late July 2014 for a three day two night of sightseeing and food spotting trip, and I’m happy to report that when it comes to food, this former Portuguese colony surely did not disappoint. Should you find yourself at Macau, here are some of the places you may want to check out. This is the entry where I cover snacks and cheap eats, there will be another talking about the few restaurants that we tried during the trip. As for weather, Macau isn’t different from Malaysia at this time of the year (July), temperature and humidity are pretty much the same, so light clothing and perhaps an umbrella if you’re afraid of the heat is advised. The city is one that never sleeps, and I got the impression that it was very safe to walk around at any time of day. Public transportation by bus is very good, so keep plenty of coins and small change available as change is not provided on the buses. HK dollars as well as Macanese Pataca or MOP are accepted pretty much everywhere, including the buses. At the time of travel, 1 MOP = 0.40 MYR. Pro tip: there are many free hotel shuttle buses going to and from the airport, you can utilize them even if you don’t stay at the same hotel. 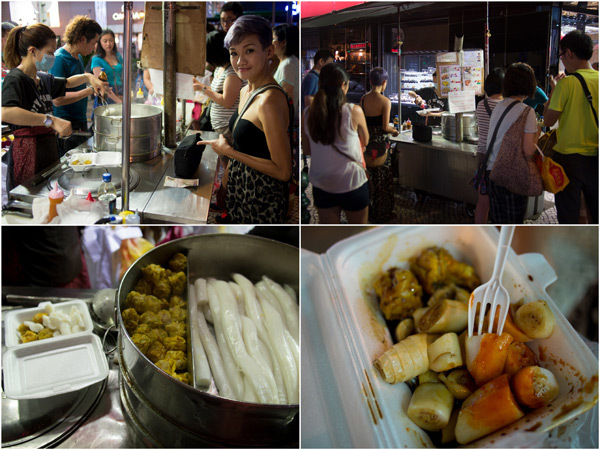 The first thing we tried at Macau was this little road side stall situated opposite Centro Commercial Central. We tried the chee cheong fun with siu mai which was priced at $30 MOP. 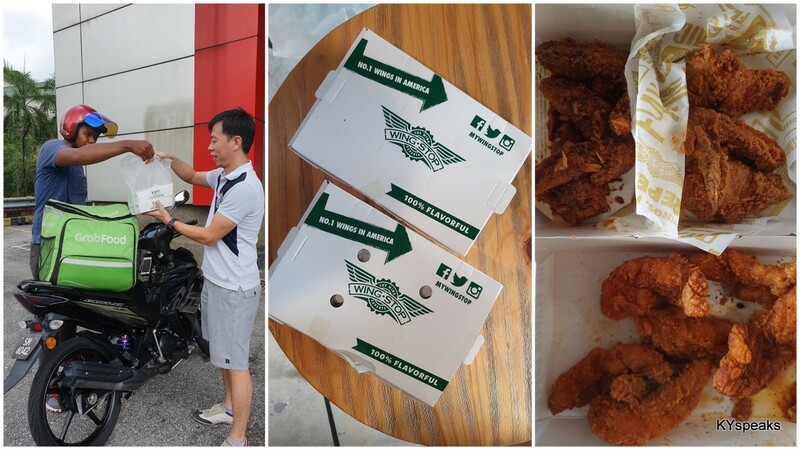 The sauce was lighter than the one usually served in Malaysia, and the chili sauce has a stronger taste of vinegar to it. We found it pretty delicious and fitting as a pre-dinner snack or post-dinner supper. 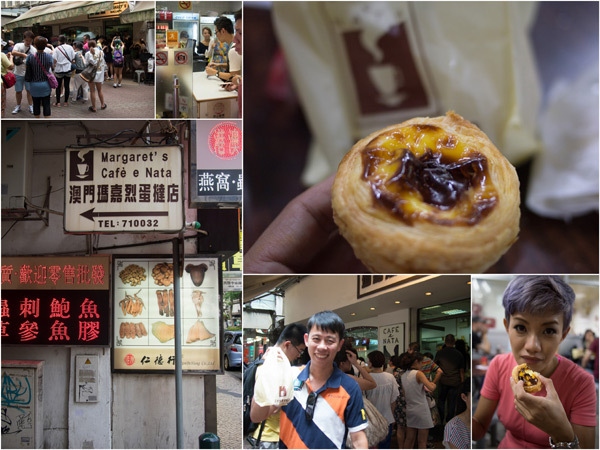 When in Macau, one of the snacks that you must not miss is the famous Portuguese egg tart at Margaret’s Cafe e Nata. The egg tarts are $8 MOP each and was really as good as everyone claimed. The pastry soft yet crunchy, and the filling smooth and super flavorful with the aroma of milk and egg at their best. We only had 2 each but we really should have brought more. It was very delicious! There’s always a queue at the shop, but you wouldn’t have to wait for more than a few minutes before being served. Right next door to the egg tart place is Sang Lei, a shop that perhaps thrive thanks to Margaret’s being constantly filled to the brim. 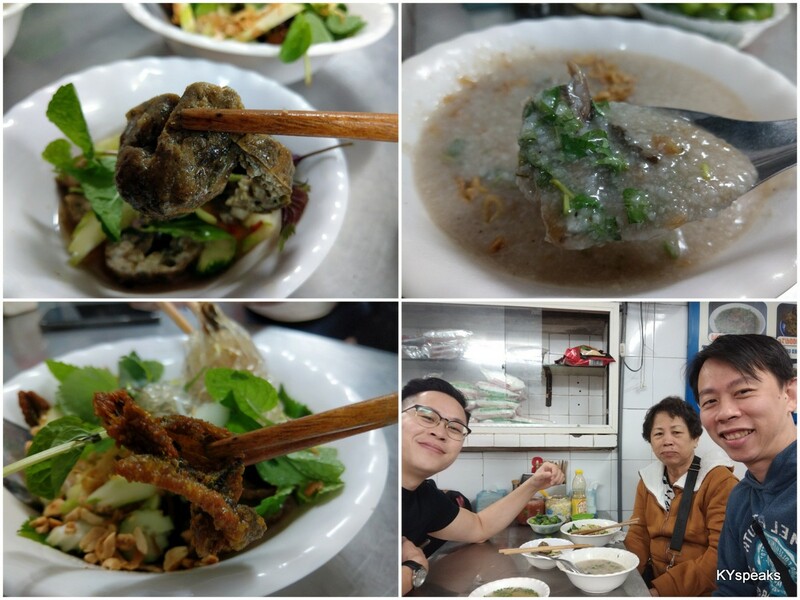 We tried fried fish paste ($19 MOP), pork bun ($22 MOP), and beef tendon noodle soup ($22 MOP) there. The food actually turned out pretty decent. The fish paste is pretty similar to those we get in Malaysia but tasted fresher, the beef tendon noodle was simple but if you’re a fan of tendon, you’d be delighted. The pork bun though, did not impress. While trying to go to Taipa island by bus on the second day, we accidentally took the bus heading to the wrong direction and ended up at this little strip of shops at Rua Dois do Bairro lao Hon, which is located near the border between Macau and China up north. 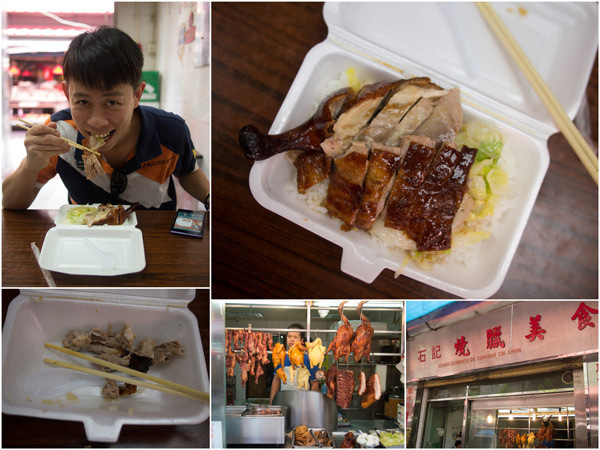 Since I was hungry, we stopped by Sek Kei for a roast goose rice that was served in a styrofoam box commonly for those who wants it to go. Lucky for us Sek Kei actually has ONE table in their shop that I could eat. 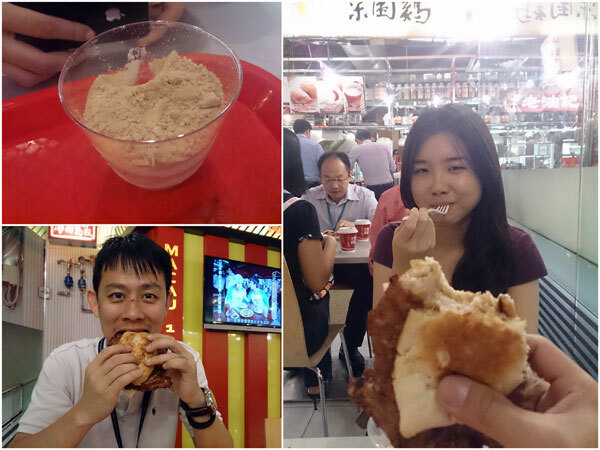 It turned out to be rather good and only cost us $27 MOP for the meal! If you want a bargain, you can’t top this. Yee Shun steamed milk, a must try! 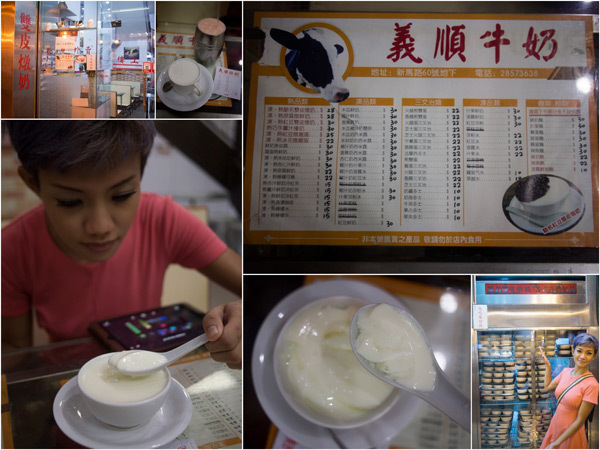 As for dessert in Macau, Yee Shun steamed milk is the one place that shouldn’t be missed. 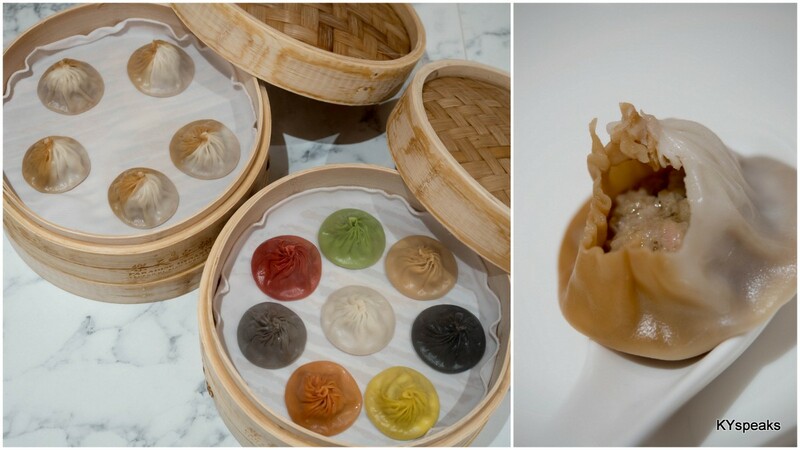 The steamed milk custard ($28 MOP) has the consistency of our familiar “tau fu fa” but with that creamy aroma of fresh milk that made it so irresistible. We also tried their warm milk ($22 MOP) and papaya milk ($30 MOP) which did not disappoint either. The same place also serves sandwiches, eggs, and even pork bun. Even as a person who’s slightly lactose intolerant, I now want to know how to make this at home! 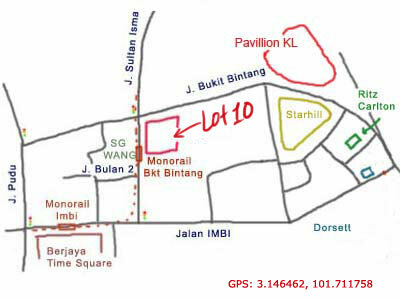 In my book, Lot 10 Hutong is by far the best food courts in Klang Valley, I will miss the convenience of being able to walk there in 10 minutes, we’re relocating the office to a building that’s perhaps more glamorous, but unfortunately a bit too far to be walking to the awesome food choices offered at Bukit Bintang.. I almost always order the char kuih teow, Soong Kee beef noodle, or different types of mee at Ho Weng Kee whenever I find myself at Hutong food court, but on my latest visit, I decided to try something else. 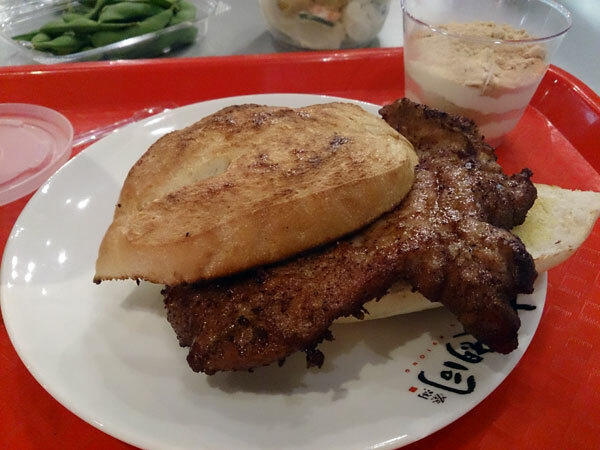 So I asked my sometimes lunch buddy Jean for pointers, and she suggested that I should try the pork chop bun at Tai Lei Lor Kei (大利来咖啡室). 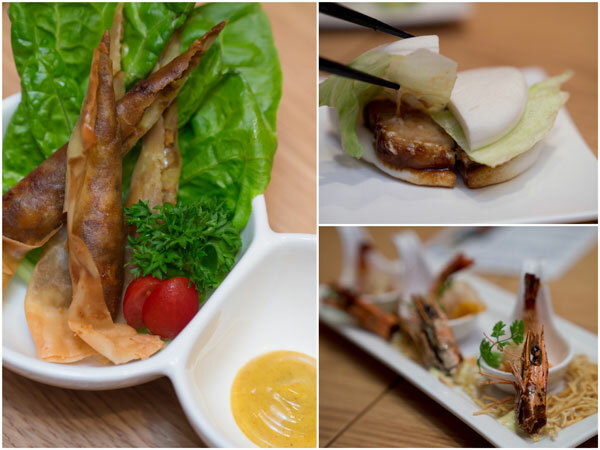 Originally from Macau, the branch here at Hutong enjoys pretty brisk business during lunch hours. 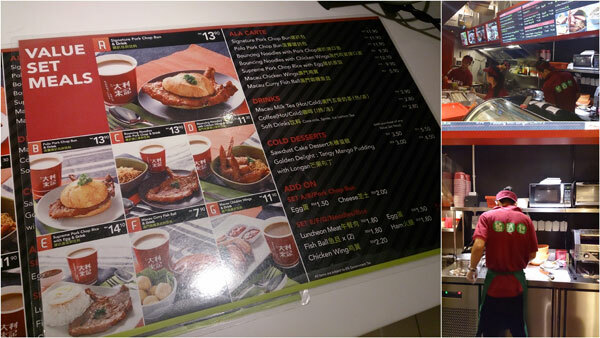 The menu revolves around pork chop, but does offer chicken wings and curry fish ball as well. You can have these with rice, bun, or even noodles. The value set meal for signature pork chop bun goes for RM 13.90 with inclusion of a drink, and on its own the bun costs RM 11.90, certainly within the accepted price range at this part of KL. The pork chop is surprisingly succulent and not entirely too oily, with the portion being rather huge as well. Without any accompanying lettuce or cucumber, your tongue might yearn for a bit of green after a while, but it will definitely put a smile on any carnivores. As for the accompanying drink, I chose their Macau milk tea and was not disappointed. The other must-order item if you find yourself at this stall is their sawdust cake dessert. The cake isn’t exactly a cake but more like a slightly hardened tiramitsu with very fine grind peanut, it was very delicious. 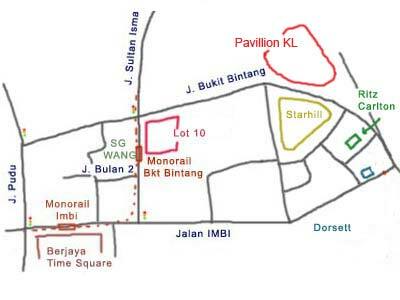 I guess I’ll have to drive/ride to Hutong next time, which I think most likely will. 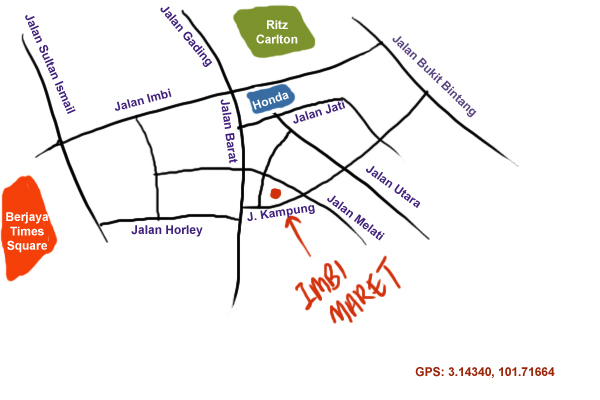 Imbi Market (or Pasar Baru Bukit Bintang officially speaking) is fast becoming one of my favorite places for breakfast stop over. 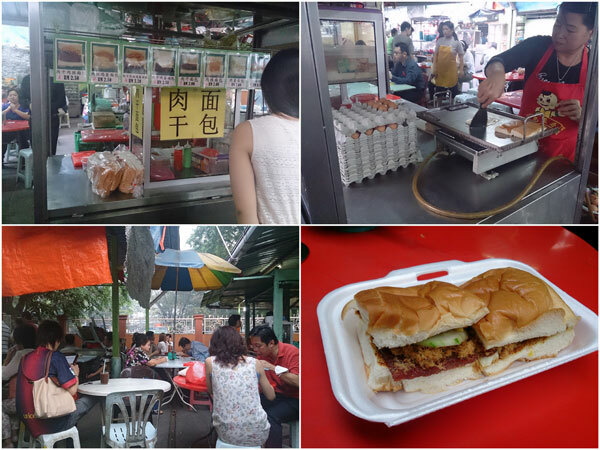 Today, we take a look at one of the more unique stalls within the market, bak kua bun (肉乾糆包). 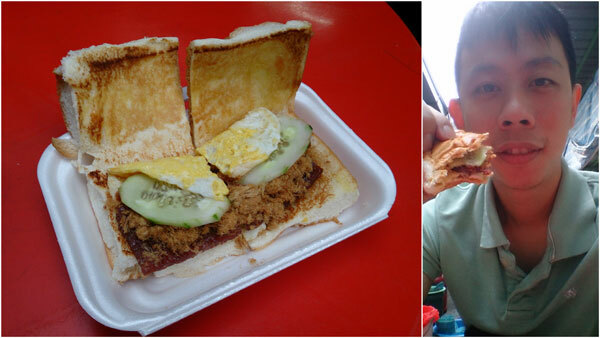 Pork floss and bak kua (BBQ dried pork) bun used to be one of my favorite breakfast/snack dishes. When I was in high school there’s a mobile stall that often parked outside the side gate and I would sometimes have one right after school session is over. Unfortunately, there aren’t many such stalls here in Klang Valley, so I was rather happy to stumble onto this one. There are three major ingredients available for your choosing at this stall – pork floss, bak kua, and eggs. The bun is by default, and the lady threw in a couple slices of cucumber for good measure too. Of course, I chose the one with everything for breakfast. The combination of pork flooss, bak kua, that one simple fried egg and the cucumber was most excellent and a great way to start the morning. The stall is situated opposite the main walkway across from Ah Weng Koh Hainan Tea area, so you can’t order from the famous Hainan tea stall unless you tapao over. Then again, the other coffee stall isn’t bad at all either. 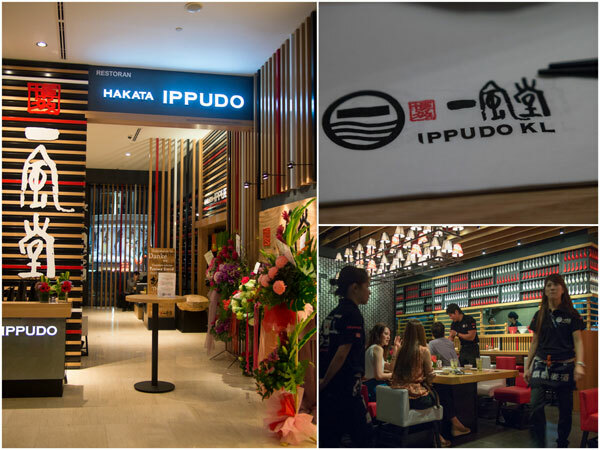 Hailed from Hakata, the supposed ramen capital of Japan is Ippudo, the latest international Japanese ramen chain to arrive on our shore. The founder Shigemi Kawahara started selling ramen at a ten-seater stall in Fukuoka some 28 years ago, and has since expanded to some 10 cities around the world, serving up piping hot tonkotsu (pork bone) based ramen to eager diners. We were invited for a tasting session last week ago to find out what the fuss is all about. 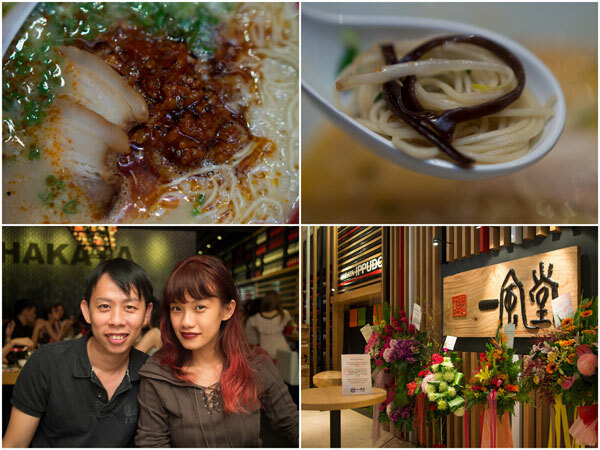 Ippudo Ramen is located just a floor up from the semi-alfresco dining area and a floor below the GSC cinemas. The ramen shop itself is pretty compact in size and could probably cater to around 40 pax or so. The interior decoration is modern, and they even include “handbag drawers” under some seats, something I’m sure most ladies and dudes with man bags approve. If you’re a fan of rather unique Japanese appetizers, you’re in luck. Ippudo carries quite a few dishes that goes well with hot green tea (or beer) before the main meal. Curry Cheese Haru Maki (spring roll, RM 10) is indeed cheesy inside with a crispy skin as its exterior, delicious while hot, but you gotta find a balance and not let the melted cheese burn your taste buds. Pork Bun (RM 7) is another one that I really enjoyed, reminds me of those “tong por” pork I had at Dengkil Seafood Restaurant. Spicy Shrimp Mayo (RM 15) is beautifully presented and reminds me of those fried shrimp and mayo dimsum dishes that you could have for half the price. If you prefer something cold to start with, Goma Q (Japanese cucumber, RM 9) will fit the bill. 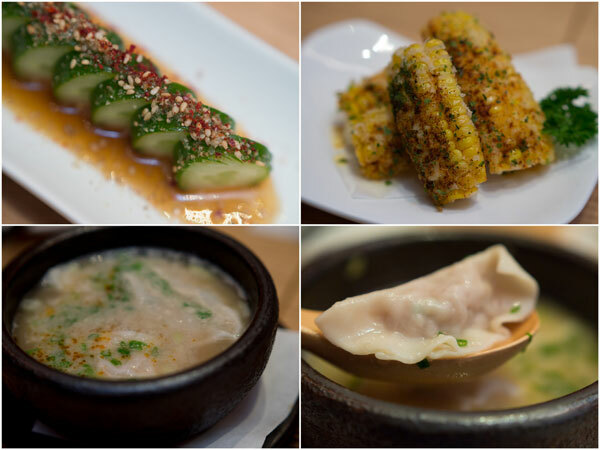 This is very similar to those cold cucumber dishes served in some Chinese restaurants such as Private Kitchen at Uptown, or Hong La Qiao at Pudu. Crispy Corn (RM 8) is something that I haven’t seen before and find myself liking it. The sweet corn seemed to be seared with a healthy dosage of paprika and other seasoning on top, giving the kernels a pretty unique taste. A serving is only 4 slices of corn though. Hakata Style Soup Gyoza (RM 15) is an alternative to the usual pan fried version. It is served in the same tonkotsu soup with a bit of ginger in it. The gyoza was decent, but not something I’d get excited about, the soup is nice though. 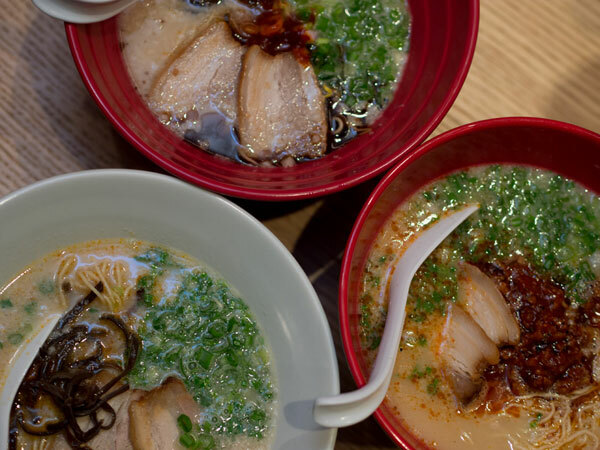 Ippudo serves three basic variety of ramen with noodle much thinner than most other places. Much like Italian food, you can also choose to have it al dente (cooked to be firm, but not hard). Most basic is Shiromaru Motoaji with original tonkotsu broth, belly chasiu, bean sprouts, kikurage (black fungus), and spring onion. Akamara Shinaji has the same core ingredients but enhanced with special blended miso paste and fragant garlic oil. For those who like their ramen spicy, there’s the Karaka-men version, which incorporate special spicy miso and ground pork. I find myself enjoying the original broth most, and have a bit of a mixed feeling for the other two miso infused soup as I think it somehow dilutes the essence of the pork bone taste (which takes 15 hours to cook, as I was told). I’m also not a fan of making ramen spicy, for that I’ll have my kimchi soup instead. The chasiu at Ippudo is easily one of the best I’ve yet. Premium cut and prepared to perfection, this is the part I like most. Over all though, I find Ippudo pretty decent and will certainly face strong competition from nearby ramen places within walking distance (Marutama at Fahrenheit 88, Hokkiado Santouka at Pavilion, Ton Chan at Cosway). While having the best ambiance among the competitions, Ippudo is also the priciest, expect to pay RM 26 for a basic bowl to RM 36 with everything in it.